Some things get flushed down the drain. Not everything deserves to be dismissed! Sometimes the inhabitants of Planet Exbibo375 lost something special. Every thirdwendersday little Solum comes to the big drain that leads into the slow waters. 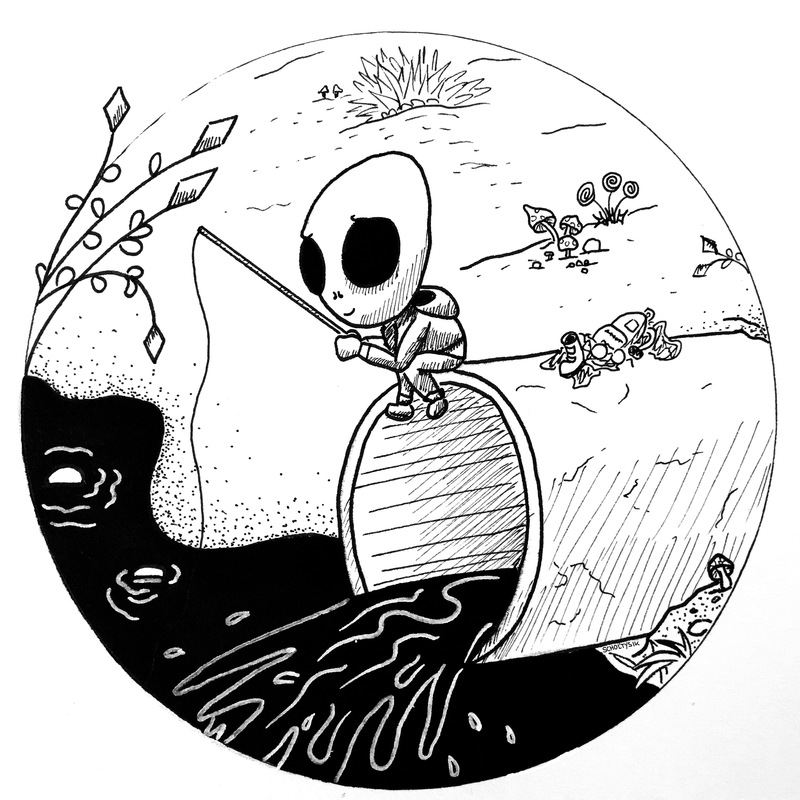 He tries to catch the most precious things for his collection with his fishing rod, thinking about the universe. .